It�s been more than two centuries since a pair of Southern plantation owners, Paul and Jacob Walter, seeking solace from Coastal Carolina�s sultry summers and ubiquitous mosquitoes, found an area about 45 miles west of Charleston to their liking. The town they established in 1784 is still thriving, offering its residents and visitors a wide range of festivals and other activities of note and five sites on the National Register of Historic Places. The town�s two most important drawing cards, however, are only tenuously related to history and to each other. Walterboro, incorporated in 1826, is the home of the Great Swamp Sanctuary, an 800-acre wildlife preserve that attracts more than 10,000 visitors a year, and its downtown is evolving into a major antiquing center. The town, with a population of about 5,800, strives to do its best to take advantage of its notoriety in both areas. She added that there is much to do throughout the year in Walterboro, including Wings and Wheels, a celebration of antique airplanes and cars; the Colleton County Rice Festival and 5K Run; the Downtown Walterboro Criterium bicycle race, when professional riders from around the globe will converge on the city; and the sixth annual Walterboro Antiques, History & Arts Festival. Among the events Walterboro is most proud of is the return of renowned naturalist and South Carolina ETV personality Rudy Mancke, who will help the city celebrate Great Swamp Sanctuary Day March 10. With more than four miles of boardwalks and hiking and biking trails, the Sanctuary offers school groups, Scouting organizations and local residents and visitors the opportunity to take a firsthand look at various plants and trees, at least 82 species of birds, including bald eagles, wood ducks, owls, hawks, ospreys, blue herons and wild turkeys, and other creatures such as deer, coyotes, foxes, flying squirrels, reptiles, alligators, snakes and beavers. The 800-acre Sanctuary also includes a butterfly garden. The Sanctuary, located just a few blocks from the city�s historic downtown district, is open from dusk to dawn every day of the year. Admission and parking are free. Walterboro also is connected to the nation�s military history and entertainment industry. The Tuskegee Airmen, the first African- Americans to fly in the U.S. military and the subject of the recent movie �Red Tails,� trained at the local airport, while the producers of �Radio� took advantage of its small-town atmosphere to film much of the movie in Walterboro. And then there�s the antiques. When David Evans, owner of Bachelor Hill Antiques, moved to the Walterboro area in 2004, downtown was more like a ghost town, with around 30 empty store buildings and just a few businesses carrying antiques and used furniture. Today, through the efforts of local businessmen, the downtown district is thriving, with a dozen antique stores, a few restaurants and several other retail outlets. The Colleton Museum, the South Carolina Artisans Center and the Great Swamp Sanctuary all are within walking distance. Evans said the annual Antiques, History & Arts Festival has helped brand Walterboro as the place to look for antiques. 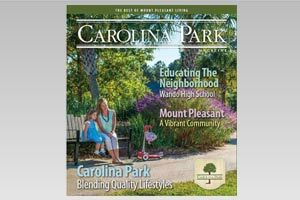 He pointed out that a collaborative marketing effort between the town and its businesses has played a vital role in the revitalization of downtown Walterboro. For more information about Walterboro, visit www.walterborosc.org.